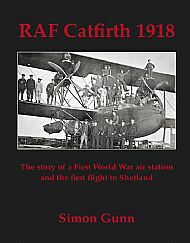 When the First World War raged, RAF Catfirth in Shetland was the most northerly air station in Britain, a flying boat station planned to house 450 men and 18 aircraft. Simon Gunn brings to life the remote base and the men who served there in the last months of the war, including its charismatic commanding officer, Lt Col Charles Finch Noyes, and Lt Arnold B Massey, the dashing Canadian pilot who in the summer of 1918 became the first man to fly to Shetland. 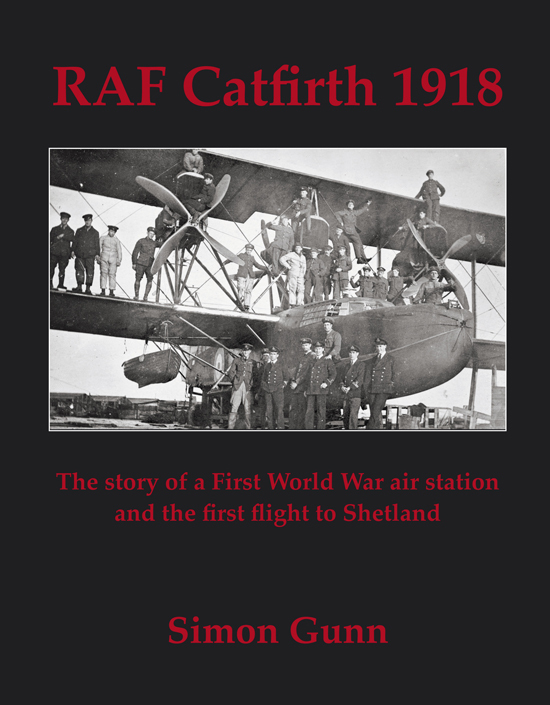 Published on the 100th anniversary of the founding of the RAF, the book includes a foreword by Air Chief Marshal Sir Stephen Hillier, Chief of the Air Staff, Royal Air Force. By Simon Gunn. Published by Bassman Books: 96 pages, 47 colour and black-and-white photographs and illustrations, paperback, 19x23cms, £8.50. Use the buttons below to buy with PayPal or credit card. Contact me if you'd like to buy in bulk, at a discount. The book is also available at the Shetland Times bookshop in Lerwick and Picaresque Books in Dingwall. More outlets will be added soon.